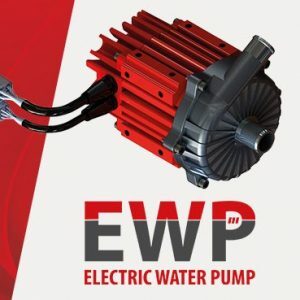 Our Grayson Electric Water Pump is the best performing pump on the market and it now comes with run dry protection. Many of our Grayson customers have asked the question “Can you run your pump dry?” and it’s NO. Our pump, along with over 95% of all well designed and manufactured pumps have a mechanical seal and should never be run dry. A well designed system always has an integrated level switch to protect critical components, to ensure in the event of a leak, the components are protected. Grayson has now upgraded the pump firmware to protect it from running dry and avoids a damaged seal. The pump will now, if no coolant is present, attempt to start for a number of five times, and if coolant is ‘not present’ it will stop running. The client will then need to re-start the pump and the pump will repeat the cycle. Another product upgrade from Grayson to keep your vehicles on the road for longer.